Do you know what Black Hat ASO is and how ? Keep on reading! As you may know, the main app stores are overcrowded – there are millions of apps out there and this number is still growing day by day. Everyone is trying to get in the mobile business and, of course, everyone wants to be successful, get a lot of downloads and become a recognized app/game. In order to do so, app marketers and developers should plan and carry out an optimal App Marketing strategy (ASO included), but unfortunately, not everyone deals with ASO in the same way and some app developers / marketers do Black Hat ASO… Which might be something dangerous. Like in the SEO world, where Black Hat SEO is a reality, the same happens with ASO and Black Hat ASO. ASO – do it the right way! We do not recommend making use of these techniques in any case!!! Black Hat ASO is the a set of forbidden techniques that allow mobile apps and games to quickly improve visibility in the app stores in order to get more organic downloads. It’s important to remark that both App Store & Google Play are against these kind of actions. As the competitiveness level is increasing more and more everyday, new ASO solutions are coming out, and not all of them are safe and ethical. Black Hat ASO tactics pursue the same goal as ASO (exposure, traffic and downloads) – however, the process is not the same because “the dark side of ASO” bypasses the rules and the stores end up penalizing and removing the app / game that decides to use these tactics. Keyword stuffing was born with Search Engine Optimization (SEO) and was later also applied to ASO. This tactic consist of overloading the app store listing with keywords in a shady way with the intention of (unfairly) ranking for this set of keywords. Buying fake installs: this can be done by paying people to download their app / game or by using bots with the aim of climbing up in the Top Charts. Buying fake installs per keyword: you can improve Click-through- rate (CTR) and keywords rankings by asking users to download your app from a specific search – typing a particular keyword. Although these Black Hat ASO tactics or actions can help your app get more visibility, buying fake installs will lead to low user engagement. These type of users will probably enter in your app once or twice and end up deleting it. Also, do not forget that this technique is FORBIDDEN by the app stores. Black Hat ASO practitioners would reward users (money, prizes) in exchange of (positive) feedback. Also, there are services (you can Google this) that directly sell user ratings and reviews.In addition, keywords in Reviews in Google Play and App Store are also taken into account in the algorithms, so another Black Hat App Store Optimization tactic would be to ask users to write reviews using certain keywords. To appear in trending searches you need to be very popular or to have lots of people looking for (and installing) your app – it’s cool to ask your friends to download your app but do not abuse of this. If you’ve read one of our ASO articles or guides in our blog, you would probably remember that we recommend changing or adapting your app / game to the season or to special occasions (for example Christmas). Despite the benefits you can obtain by doing so, make sure the changes or adaptations are relevant to your app – a Black Hat ASO tactic would be introducing the keyword “Christmas” in your listing even when your app has nothing to do with Christmas. Also, there are some “ASO providers” that sell Trending Search slot… Don’t do this! We all know that appearing in Top Charts can lead to a high amount of downloads. There are many users eager to download new and cool apps that they see while browsing the app stores. A common Black Hat ASO technique would be inflating the price of a paid app, asking people to download the app and then refunding them. This will make your app climb up in the Top Grossing charts and gain visibility. Once the app / game is there, developers and marketers change the price to the normal one and benefit from visibility. This is not Black Hat ASO per se, it can be considered a “Grey Hat ASO” or “Black Hat SEO” for web marketing, as Google (and other search engines) punish those websites trying to manipulate rankings with backlinks. So, if you build backlinks, do it the right way. Try to build some backlinks in a natural way pointing to your Google Play app or game, use some keywords as anchor text for those backlinks and… ASO will improve 😉 as you can see in this experiment we run some months ago. Learn how to build backlinks in this post. ASO is key in the app marketing business and there are lots of different things you can do to carry out your strategy in the right way. Have a look at out Apple App Store ASO Guide (link) and at our Google Play Store ASO Guide (link). 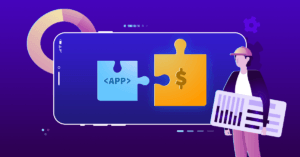 In this article we want to focus on incipient yet (and unfortunately) common practices among app marketers and developers: Black Hat ASO. We want to highlight the fact that doing Black ASO is not recommendable AT ALL, but as there are some companies and app developers manipulating the search algorithms from the app stores, we decided that it’d be useful to point out the main techniques, in order to easily detect and try to fight them. App Store Optimization is very important in any App Marketing strategy nowadays – and, it’s something all app developers and marketers should have in mind. There are many things we can do to optimize the main ASO factors and get downloads in the right and fair way. Remember that ASO is an endless process that consists of researching, optimizing, testing & tracking, and starting all over again. The purpose of this article was to purely inform our readers about the current situation of Black Hat App Store Optimization. If you know any other Black Hat ASO tactic that we forgot to mention, feel free to add it on the comments section below! We always discourage our ASO partners from adopting the techniques you mentioned. From our experience observing competitor apps that have used these methods (it’s pretty easy to spot!) – it generally backfires on the app and/or developer in one way or another in the long term. I did not know these Black Hat ASO techniques, thanks for sharing.